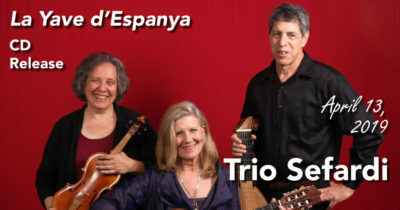 Join TRIO SEFARDI to celebrate the release of their newest CD,La Yave d’Espanya (The Key from Spain). Susan Gaeta, Tina Chancey and Howard Bass will perform music from Turkey and the Balkans, old and new Sephardic favorites on the customary topics of love and courtship, holiday fun, and, in particular, life’s journeys. Keith shares reflections on his calling to the law. Will shares about what is exciting his heart. Seekers Church continues to support many missions and ministries in the United States and other countries. The amount budgeted for domestic giving this year is about 22% of what we expect to receive in offerings over the course of the year. Once our budget is approved each year and the overall amount available for domestic giving has been determined by the Stewards of Seekers Church, all members of the faith community are invited to request support for missions or ministries where they are personally involved. Seekers Church continues to support many missions and ministries in the United States and other countries. The amount budgeted for international giving this year approaches 20% of what we expect to receive in offerings over the course of the year. Once our budget for the year was approved, and the overall amount available for international giving had been determined by the Stewards of Seekers Church, all Seekers were invited to request support for missions or ministries where they are personally involved.